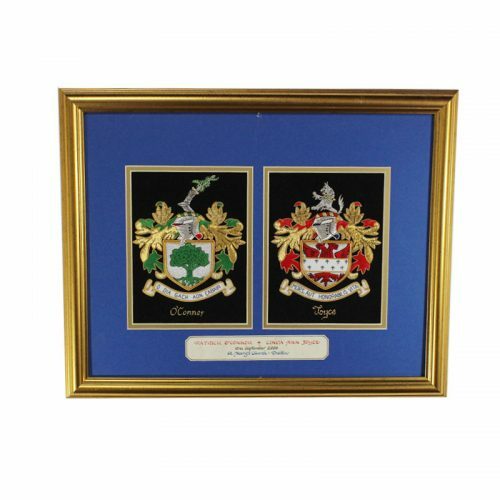 Our Matrimonial Double shields are the smallest of the Double Shields available and are one of our most popular Heraldic products as they make the perfect Wedding or Anniversary gift for Family, Friends and loved ones. The shields are 11” x 10” in size and are made with an inverted bracket suitable for wall hanging. Please allow 6 – 8 weeks for our Hand Painted products to be delivered. Note: Custom plates will read exactly the same as the text you enter. 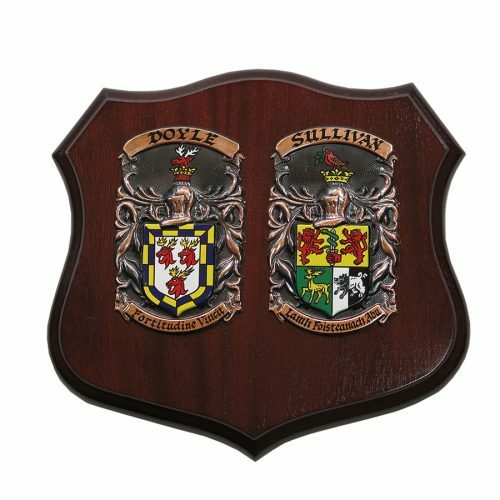 The Wedding Day Shield – Our Matrimonial Double shields are the smallest of the Double Shields available and are one of our most popular Heraldic products as they make the perfect Wedding or Anniversary gift for Family, Friends and loved ones. Both of the Coats of Arms are painted beautifully by hand onto copper and mounted on a mahogany wooden base by our dedicated team of heraldic artists who have been applying their craft and hand painting our Coats of Arms in Dublin, Ireland for over 60 years!! 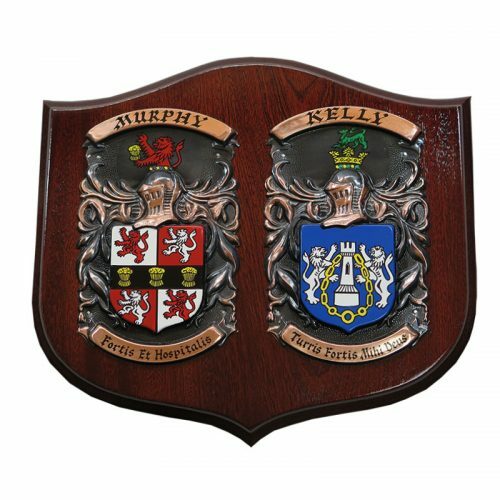 with our double shields, which feature the date of the couples wedding or anniversary or can be custom made and feature your own personal message which must be limited to 40 characters due to limited space being available on this smaller style double shield. 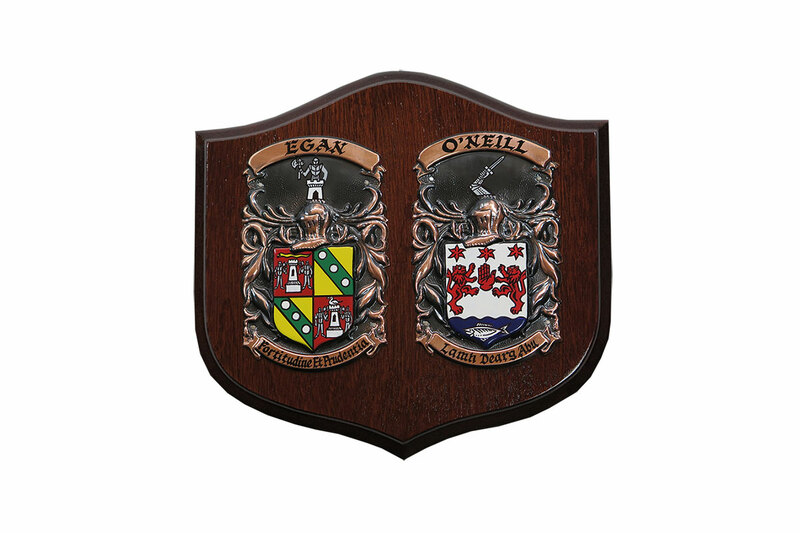 These shields are crafted beautifully and we have mailed thousands of them worldwide over the past 60 years which are now proudly displayed in our many satisfied customers’ homes and workplaces! !